The County Government of Kakamega is seeking to sign an MOU with a leading hospital in India (Apollo) to supply cancer diagnostic equipment to the newly constructed Kakamega Teaching and Referral Hospital. In addition, there are also plans to get consultant doctors from the hospital to periodically visit Kakamega to attend to the rampant cancer cases in the County. 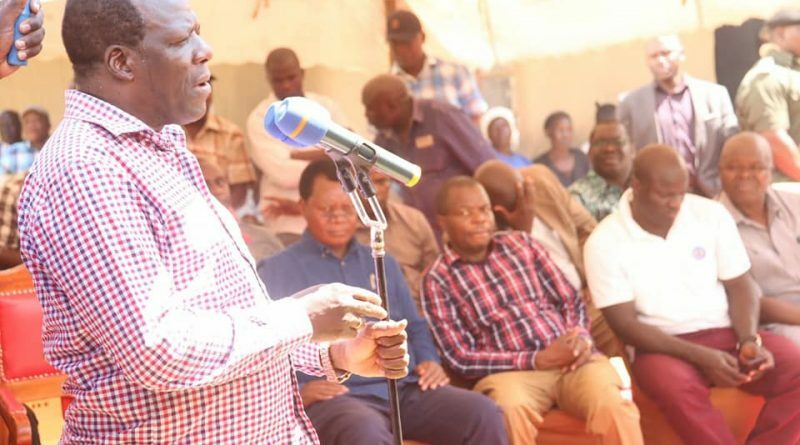 Governor Wycliffe Ambetsa Oparanya made the remarks today when be addressed mourners in Shibale village, Mumias Central ward at the funeral of Mama Concepta Makokha Odhiambo who succumbed to esophagus cancer on 25th February, 2019. She was the sister of Kakamega County Secretary and Head of Public Service, Madam Jacinta Aluoch Odhiambo. development of infrastructure in Mumias town. On the sugar sector and Mumias Sugar Company in particular, governor Oparanya who co-chairs the national taskforce on sugar said Mumias sugar woes can only end the moment the national government divests from the company. “Unlike private companies like Butali and West Kenya, Mumias Sugar Company is bogged down by poor management,” he said. Also present were the Deputy Governor, H.E. Philip Museve Kutima, MCAs led by Kakamega County Assembly Speaker, Hon. Morris Buluma and CECMs among other senior government officials.